A beautiful collection of framed angel gifts from the heart. Designed for connecting with those we care about. Angel : from the Greek angelos meaning 'messenger'. Wish: To desire, long for. May this angel be the messenger of your heartfelt wish. Inspired, following the events of 9/11 to creatively bring people together, Cork based artist Audrey Shallow, was moved by the universality of people's wishes. Each Wish Angel carries its own personal message, ideal gifts for any Life Moment New Born Babies, Christenings, Engagements, Marriages, Graduations, Anniversaries, New Homes, New Beginnings... may you find yours. 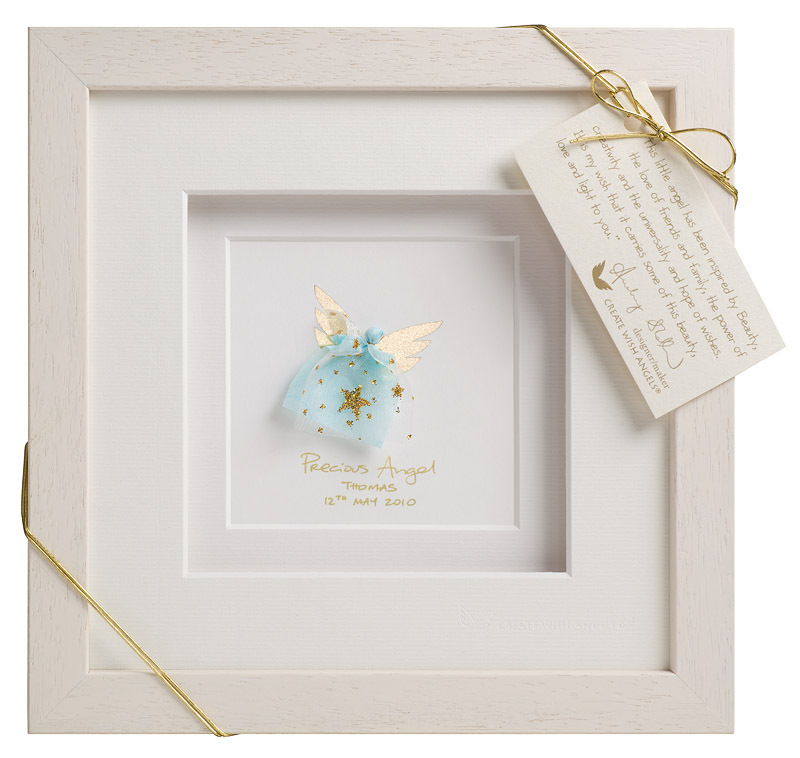 A customised service to create unique & inspiring gifts for any special occasion is also offered -a framed Wish Angel with your personal message. Commissions welcome.